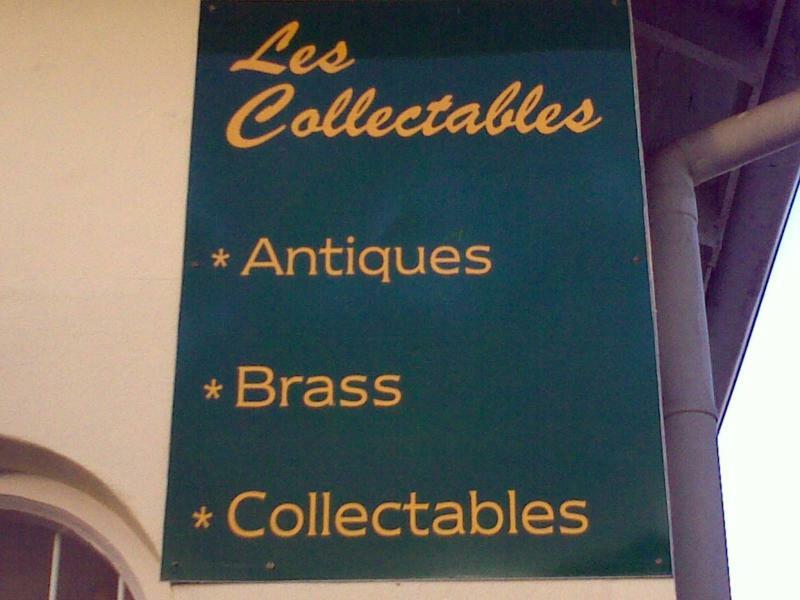 "Welcome to Removex Householders NOW incorporating Les Collectables." 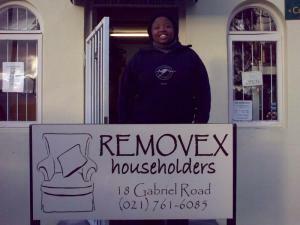 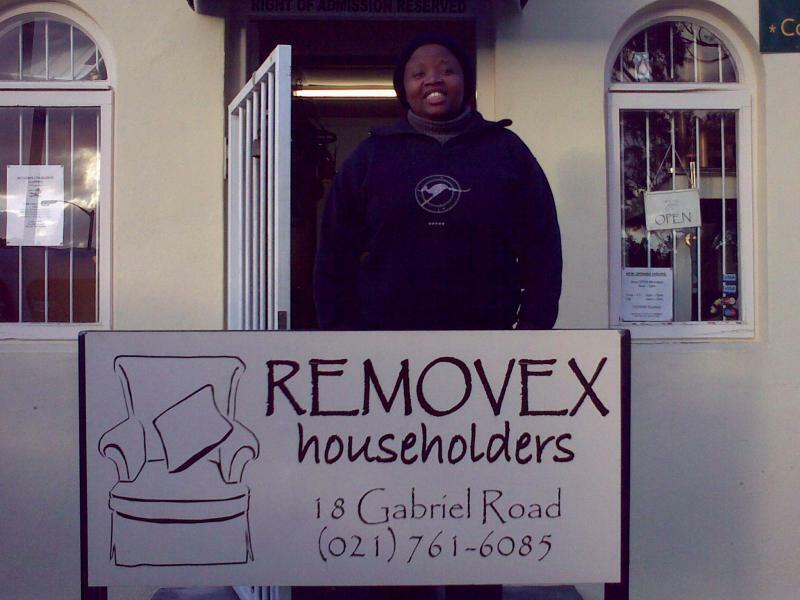 Libby Mokgoro, co-owner of Removex Householders. 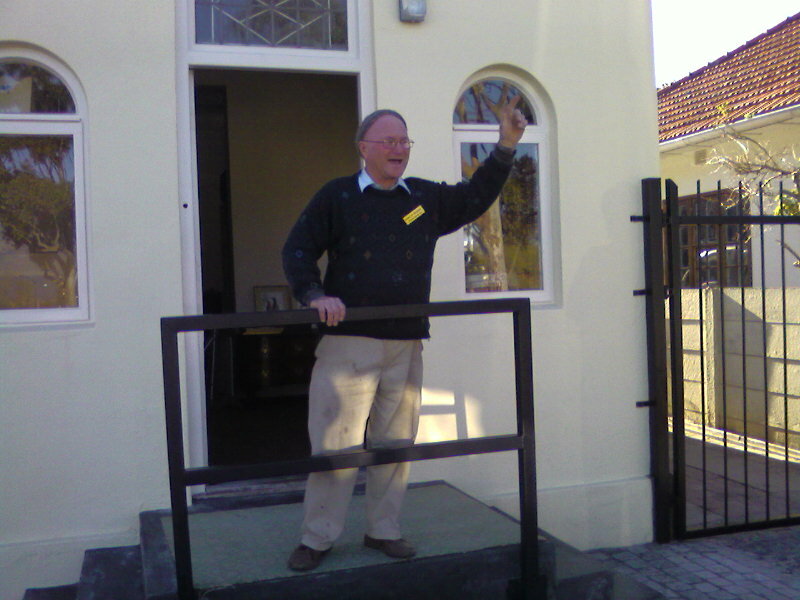 This is our main room. 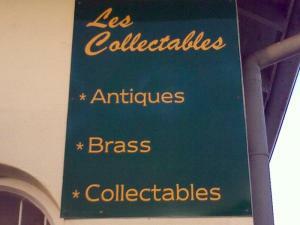 A month after starting with the brass, the interior has altered substantially, with furniture moving out to other rooms as the brass begins to adorn the walls and new shelves. The ceiling is also becoming a popular place to hang about with copper kitchen implements hanging from an old wagon wheel, and brass and wrought iron chandeliers. 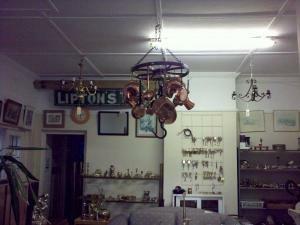 The 'Liptons Tea' sign is enamel. Les Benson now declaring Removex Householders "Open to the Public"